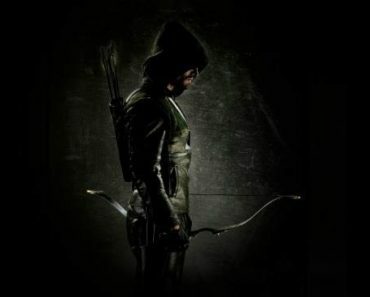 Arrow Season 7 Episode 10 Review: "My Name Is Emiko Queen"
After a month-plus hiatus, Arrow returned tonight with its first new episode of 2019, and it was…fine, I guess. To be honest, there’s nothing truly horrible about “My Name Is Emiko Queen” (well, aside from the Diaz scenes, but that’s to be expected at this point); however, nothing throughout the hour really pops either. 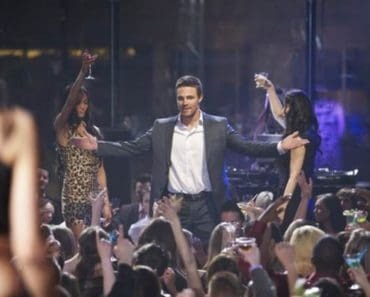 It all feels routine and moves rather slowly, especially for a mid-season premiere, and for an episode that features Oliver discovering that he has a long-lost half-sister, it should have provided viewers with, well, more Oliver. For most of the running time of “My Name Is Emiko Queen,” Oliver is on the sidelines. 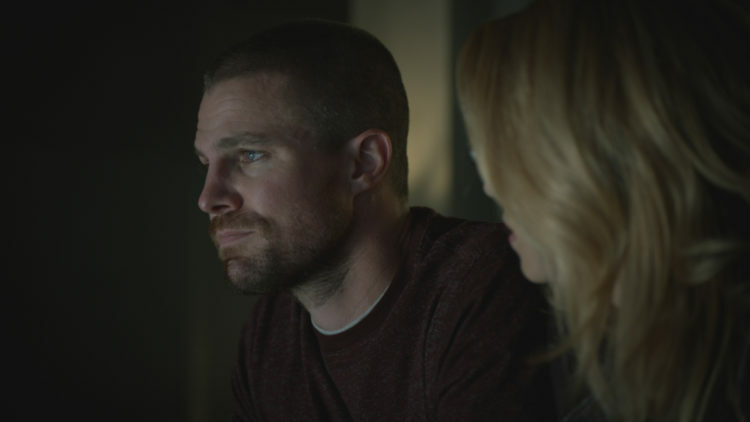 After he brings Felicity a blood sample from the new Green Arrow, the two of them discover that Star City’s latest vigilante is the daughter of Robert Queen and thus Oliver’s sister. After that, it’s one convenient discovery after another (Oliver finds a storage facility of Moira’s that he had somehow never learned about over the course of all these years, and after two minutes of searching through all the items from that storage unit, he and Felicity easily uncover a letter that Robert Queen wrote to Walter Steele). But I’m okay with rushed, convenient plot mechanics like this if they lead to more powerful, emotional storytelling, and as of right now, I’m optimistic that the Oliver/Emiko storyline could be that. As I mentioned earlier tonight on Twitter, so much of Arrow‘s story, from Season 1 through now, has been about Oliver grappling with the legacy of his father. Of accepting his father’s past sins. Of righting his father’s wrongs. Of, as he mentions explicitly in tonight’s episode, attempting to redeem his family’s name. However, there have been very few physical, tangible ways for Oliver to do this over the years. 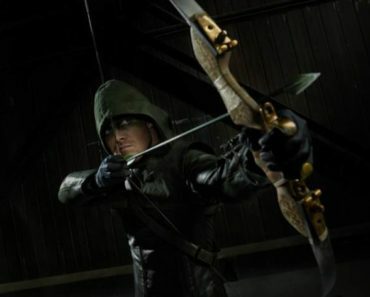 His relationship with William, from Season 5 through this current season, has provided Oliver’s character with the most effective means of not just making up for his father’s previous shortcomings but of proving how he has grown into a more honest, caring, and simply better man than Robert ever was. Oliver’s connection with his son, how he has grown as a father and a husband in recent years, shows his character evolution and his progress into a true hero in all facets of his life more than crossing off names from a list ever did. Because before Oliver Queen was encouraged by friendship and love, he was fueled by revenge, much like his sister is now. As Emiko explains in her closing monologue, the last words spoken in the episode before Oliver confronts her at their father’s grave, revenge is what is currently driving her mission: revenge for her mother, revenge for the Glades, revenge for those who have been mistreated and forgotten. But as Oliver has learned throughout the past seven years, the best way to honor the dead isn’t to kill without mercy and hesitation; it’s not embracing burying yourself in pain and hatred to defeat your enemies. No, it’s about turning to the light instead of trapping yourself in the darkness, it’s fighting for and protecting the living instead of trying to resurrect the dead through violence and murder. This is a lesson that Robert never taught Oliver; he had to learn it through the help of Felicity and Diggle and all the others in his life that he holds most dear. It’s a lesson that he has done his best to pass down to William, and now, hopefully, he’ll be able to share this lesson with his sister so that she can be the hero the Glades needs and deserves, the hero her mother, her father, and now her brother want her to be. 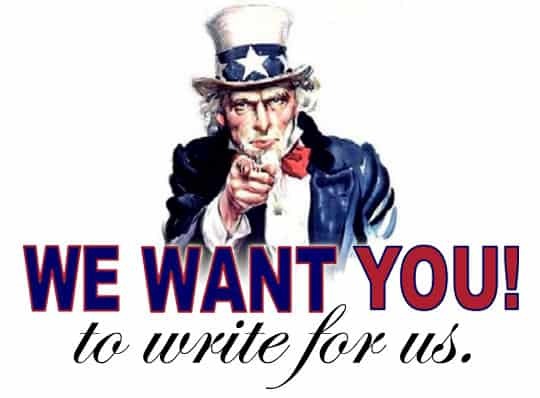 Happy 2019, everyone, and welcome back to Arrow reviews! I’ve really been enjoying Season 7 for the most part, so let’s hope the back half of this season has as many strong moments as the opening nine episodes did. My favorite small moment from this episode: Felicity celebrating the new security system she installed at her and Oliver’s apartment. 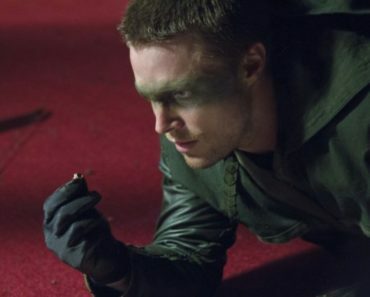 A fun, simple way of acknowledging the new circumstances of this season (Felicity taking more control after what happened with Diaz, Oliver’s Green Arrow identity no longer being secret, which mean more enemies may be coming for them) while also showing that Oliver and Felicity are back in a good place after the events of the “Elseworlds” crossover. So Rene is the mayor in the flash-forwards, and his shady conversation with creepy, fratty, villain guy at the end of the episode indicates one of two things: Rene is truly evil and is somehow now okay with destroying the rest of Star City to further his ambitions, or he’s playing along with this evil guy’s plan and is going to team up with William, Zoe, and Dinah in the coming episodes. I’m thinking it’s the second option, because I doubt Arrow would transform any of its current day heroes into a full-blown villain in the flash-forwards. But who knows? This show has surprised me in the past. With Diggle mentioning the “Ghost Initiative” and Diaz having a chip implanted into the back of his head, it looks like Arrow is bringing back the Suicide Squad. While I hate the fact that Diaz is still a part of this show, at least the Arrow writers are going to stick him with better, more entertaining antiheroes so that he doesn’t completely drag down every scene he’s in. We got a Walter Steele shoutout! That made me so happy. Now if Colin Salmon would just make a guest appearance this season, that would be all kinds of awesome. “And here I thought I was the one in danger of becoming Amanda Waller.” Let’s all applaud Lyla for delivering some harsh, necessary truth to Diggle right here. He needed to hear that. He deserved to hear that. And good lord, can we please get the real John Diggle back soon, Arrow writers? 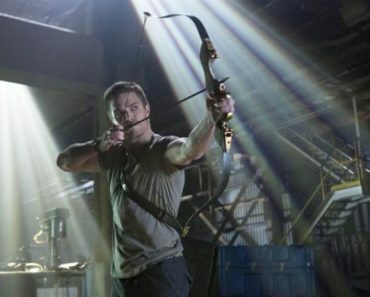 What did everyone else think about Arrow‘s mid-season premiere? What are your hopes and theories for the rest of Season 7? Comment below and let me know.